Plot twist, internet providers paid Russian hackers to send those email while also letting mr garbage pie know about this detail to help them both achieve full synergy and material enrichment. psycros, MonsterZero and xxLCxx like this. Question, if alot of them are filled out by people using some kind of VPN would they be able to track where it came from or assume it comes from a specific country...like say Russia? Most people who use VPNs don't do a good job of hiding their tracks. The point of origin can be found if enough work is put in by intelligence officers. Sites will often track other issues that (such as resolution of browser window) that help corroborate other evidence. There are ways around this. Smart hackers will hide their tracks better. Most of the time we do not find people unless they are really sloppy and we feel like the resources are necessary to collect information or prosecute. Which is why russian troll farms have had so much attention in the last 3-5 years. I'm just going to wait for the democrats to get into congress to subpoena this information before I take Pai's word for it. This guy has already been caught lying multiple times. He should have been served a subpoena the moment the public learned that he lied. Instead the republican leadership refuses to spend a minute investigating their own. It'll be 10 more benghazi and email investigations before they would even consider it. senketsu, Jeff Re, seeprime and 1 other person like this. It's pretty funny how their itchy trigger fingers on investigations never applies to stuff that might make them look bad. Funny, and pathetic. senketsu and seeprime like this. senketsu, xxLCxx, Reehahs and 1 other person like this. I wouldn't even say it would look bad. I would respect them much more if they did. Them playing partisan politics makes them look bad but they are only trying to appeal to their base, which loves that sort of stuff. As an independent, I can't vote for candidates that willfully lie in order to protect their party. Country over party. 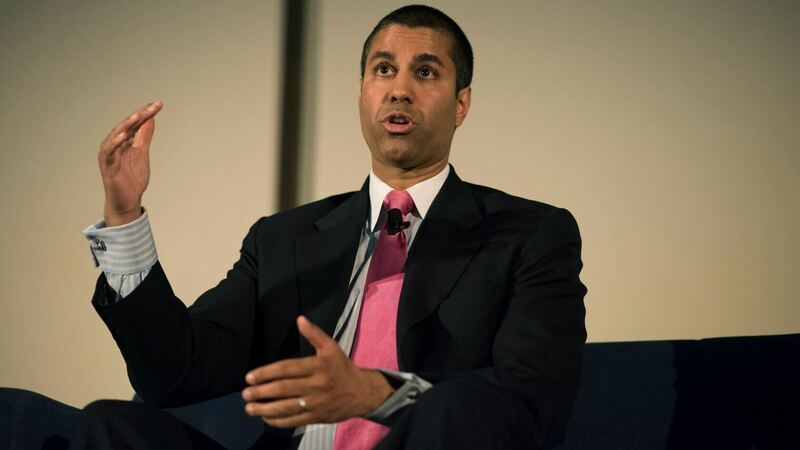 Pai joked about the FCC being Verizon's DC branch in the past. The man is a total sellout to his friends at Verizon, in particular, and other ISP's in general. He doesn't serve the American public. senketsu and psycros like this. I'd be willing to bet that this is all just a complete lie. And an artless one at that. The Democrats started it, but now it's completely established that you can blame Russia for any results that don't go your way, and the public, addled by the constant propaganda, would be assumed to buy into it. In this case, though, it's quite apparent that the overwhelming sentiment of the public is to keep net neutrality, because to do otherwise benefits no one except the ISPs. Nice try, but this is one case where even the less informed know enough to not be gullible to nonsense like this. wiyosaya, senketsu, psycros and 1 other person like this. Pause. Sigh. Head-scratch. ...How does this get us some real competition? Don't be ridiculous, the FCC's mandate is not to ensure fair competition or affordable high speed internet for all! It exists only to soak up millions of $'s from Lobbyists from the current large ISP's to keep the status quo. wiyosaya and senketsu like this. Pai isn't even blaming Russia. He's blaming his colleague.